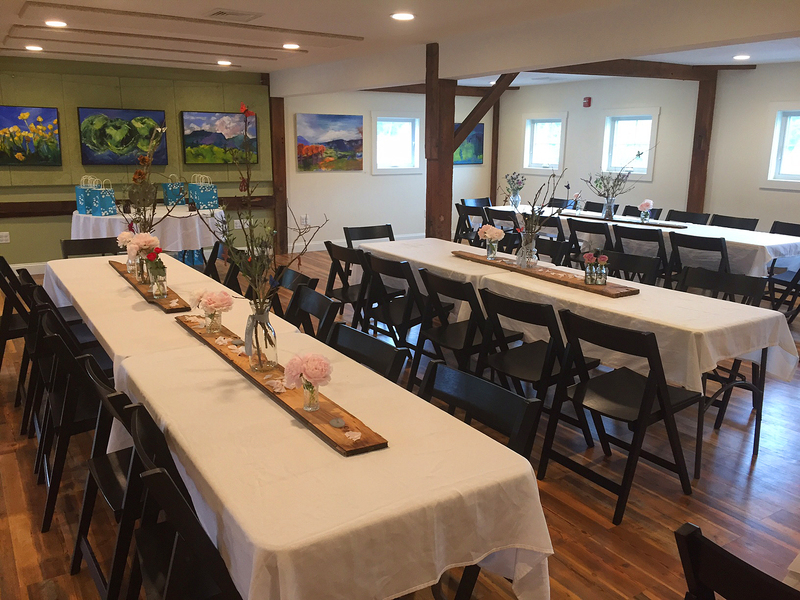 The Hopkinton Center for the Arts (HCA) is newly renovated and perfect for large gatherings and special occasions such as weddings, showers, corporate meeting, retreats, conferences, and special events. 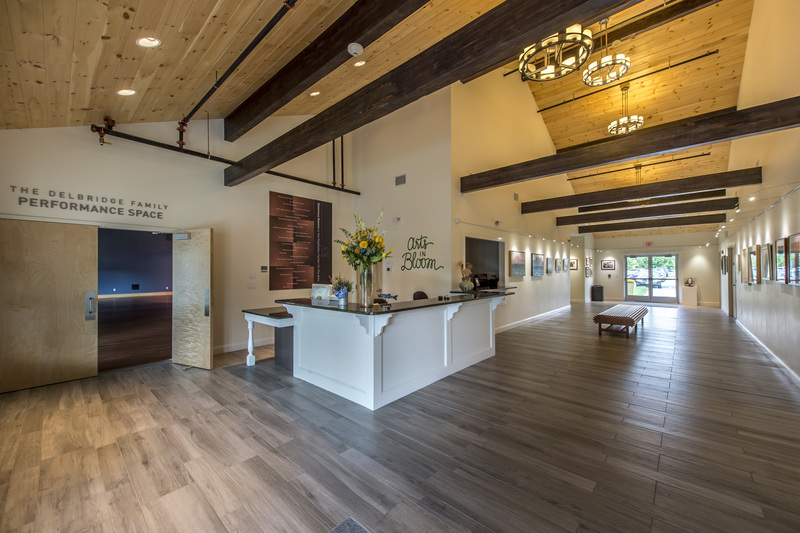 The performance center features an open floor plan, stunning wood beams, climate-control, and hard wood floors. This is the largest space in the arts center accomodating up to 150 guests for a seated reception with dance floor or up to 200 with mixed seating. Adjacent is the lobby with a built in bar, walls of art, rustic accents and a granite welcome desk. Adjacent to the lobby, and up a flight of stairs is a second large rental space that can accomodate up to 60 guests for a seated dinner or up to 75 with mixed seating. 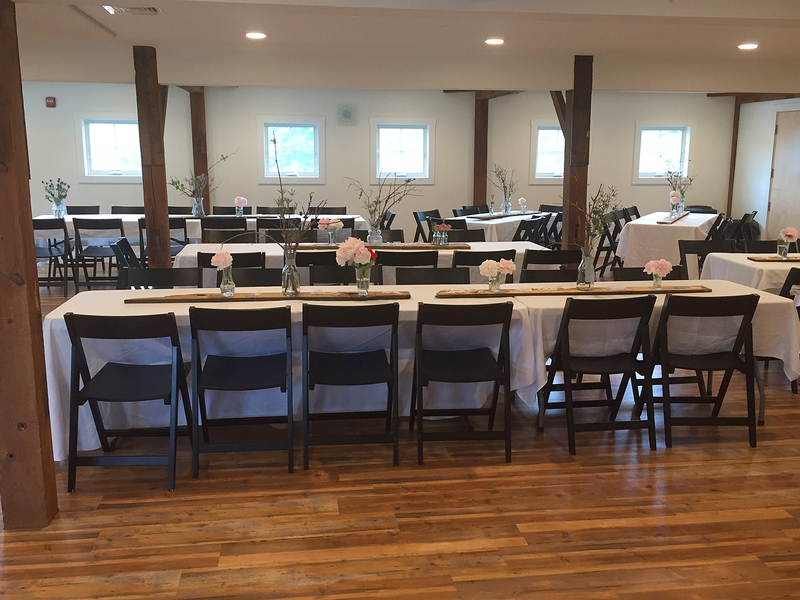 With plenty of on-site parking and just 5 minutes off 495 this is an easily accesible venue for your guests. The building is fully-accessible. If you are interested in renting the performance center, 2nd floor, a classroom or the entire building, you can find rate information on our Private and Corporate Rentals page. If you are interested in hosting a Birthday party or celebration where HCA provides art, acting or ceramic instruction - or even a princess party - you can find information on our Parties page.